EB Tucker shares his thoughts on the gold market and his strategies for investing. He also discusses the appeal of royalty company Metalla. The gold price is currently up just over 2.5 percent year-to-date, but EB Tucker believes the yellow metal will rise quite a bit higher by the end of the year. “I went out and made a big call in December that gold would hit $1,500 [per ounce] this year. I’m standing by that call,” he said at the Prospectors & Developers Association of Canada (PDAC) convention. 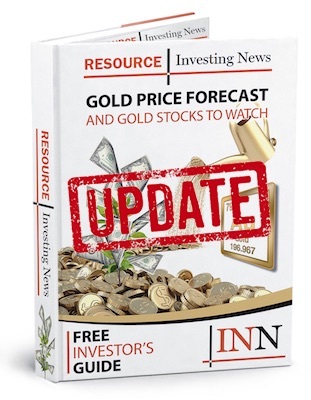 Tucker, who is a director at Metalla Royalty & Streaming (TSXV:MTA,OTCQX:MTAFF) as well as the mind behind two publications at Casey Research, also shared his thoughts on how investors can play the current gold environment. Speaking about the recent M&A activity, Tucker said that, ultimately, the large companies involved will begin to discard their non-core assets, which could present opportunities for smaller players. “I think the groups that survive and that can make it through this are going to be very interesting,” he said. Watch the video above for more from Tucker on what factors will make gold move and where he sees opportunity. You can also click here to view our PDAC 2019 playlist.